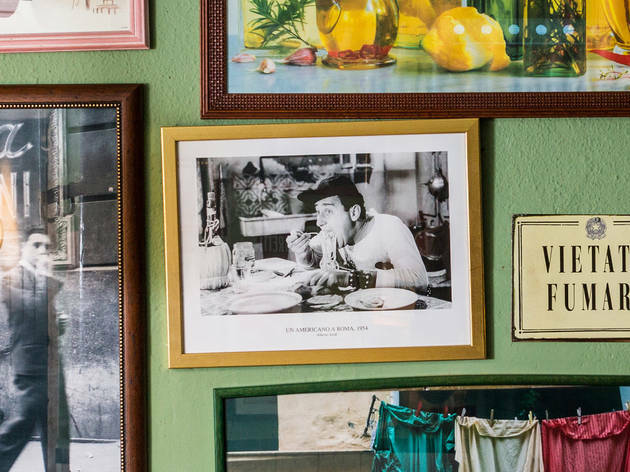 This small trattoria with its red checkered tablecloths is a true find for fans of real Italian food. In the kitchen, Marcello di Salvatore is a regular one-man-show: he cooks every pasta dish individually, producing fine spaghetti carbonara, bucatini all'amatriciana, gnocchi alla sorrentina and even some home-style meatballs in a tomato and bell-pepper sauce. The finishing touch should (must!) be a tiramisù – heavenly. 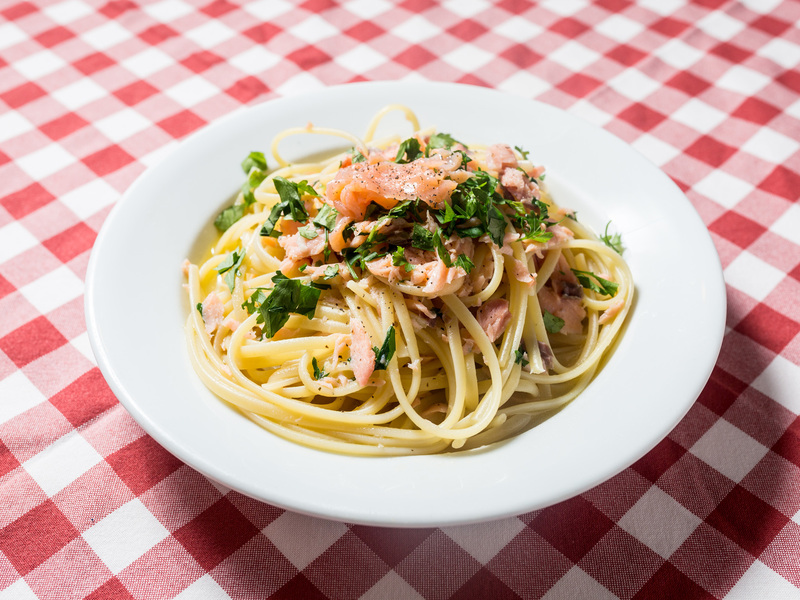 – Before the main course, an arugula, tomato, rocket and tuna salad is always served. – The TV set is always tuned to Italian channels (parliamo italiano?). On April 1st 2016 it reached its 30th anniversary, and it deserves an award for stoically resisting in a location where so many great restaurants and bars had to close shop. It also deserves an award for continuing to serve Italian food faithful to its origins, such as its andria burrata with truffle slices, its minestrone soup, its trofie al pesto or its ossobuco alla milanese. Also worthy of distinction: the staff, friendly and effective. Give all those awards to the proprietor, Maria Paola Porru, who also owns Casanova. – Zabaglione is the house's (not so) secret dessert. – The meat courses are good, but pastas are their forte. – The decoration of the main dining room, with its light tones, reminds one of the old Pap'Açorda. The Casanova pizzas (aka “Lux's pizzas”) are usually the Lisbon standard in any conversation about pizzerias. It's a high standard to look up to. The dough is very thin and gets crunchy on the edges, it is baked in a wood-burning stove for just the right amount of time, every ingredient is of top quality and – unlike some competitors – they always come in generous amounts. What to order? Hmmm.... Diavola, San Daniele, Parmigiana or, if you can't make up your mind, half of each. – Try going outside mealtimes. That's the only way to avoid waiting in line. – The burrata comes from Puglia and it's incredible. – The best drink in the house is prosecco with cremolato (don't refer to it as “juice”). 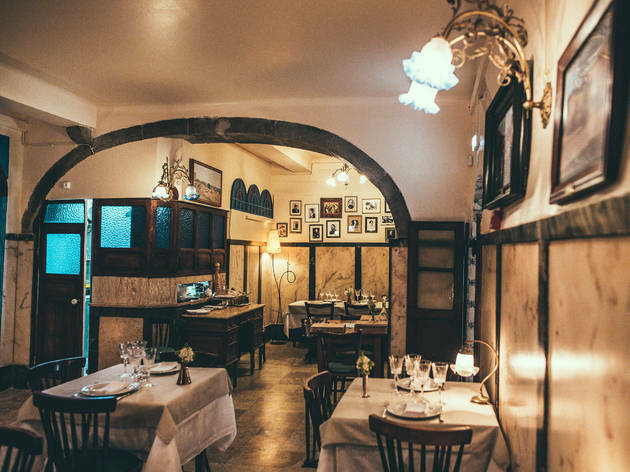 A brief history of Italian food in Lisbon: in the 1990s, second rate Italian restaurants blossomed, offering lasagna and cream; at the turn of the century, pizzerias mushroomed; and after 2013, the vera cucina della mamma began popping up here and there; it is now very well represented. Il Matriciano is a good example of that: they have carbonara dishes made properly - with egg, guanciale (pork cheeks), Italian parmigiano and pecorino -, ricotta ravoli with homemade pasta and spinach, and eggplant alla parmigiana. Oh, and a good part of the wares come from Italy. – In hot days or nights, the outdoors tables are a great, secluded spot. – A nice place to practice you Italian accent and to talk with your hands. – Try the burrata, that great Southern Italian product that melts in your mouth. 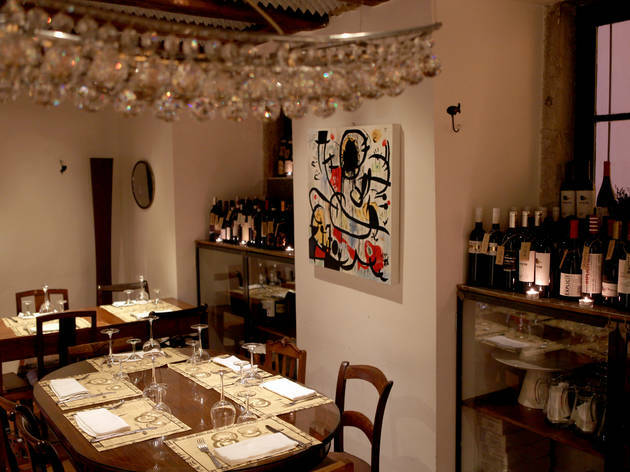 If Il Matriciano presents true Italian cuisine, its younger brother adds seafood to the basic premise. If you've never tried an aromatic pasta with seabass and lemon, now is the time; if your curiosity is piqued by reading “crayfish and orange risotto”, come here; or if you want to learn the meaning of involtini di rombo coi asparagi, make a reservation. 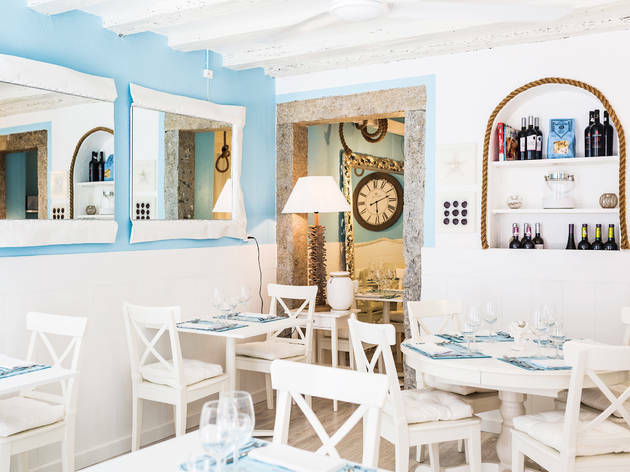 The restaurant has the colours and the vibe of summertime and sea; the friendliness of the staff and the quality of the food make this a rewarding experience. (OK, the above dish is turbot rolls with asparagus). – One of the desserts has fruit pulp ice cream and is incredible. – Take a risk on their Italian wines – they're not cheap, but some are very good. 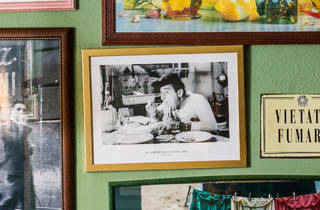 – Eat like an Italian: antipasti, primi piatti, secondi piatti, dolci. Can you do it? Rare and unique in Lisbon, this bio pizzeria is a must for people who like thin-crust pizza. The restaurant is unpretentious and simple, but you can expect to eat well here. You can also watch as the dough is rolled in front of your eyes until it gets smooth and inelastic. You can taste organic mozzarella from Italy and legumes from a bio farm in Portugal, among other bio products. On Sundays, they also have fresh pastas and risottos with the day's produce. – One of the five star-picks for Time Out critics in 2016. – Be original: try the pesto pizza. Another year, another Italian restaurant. 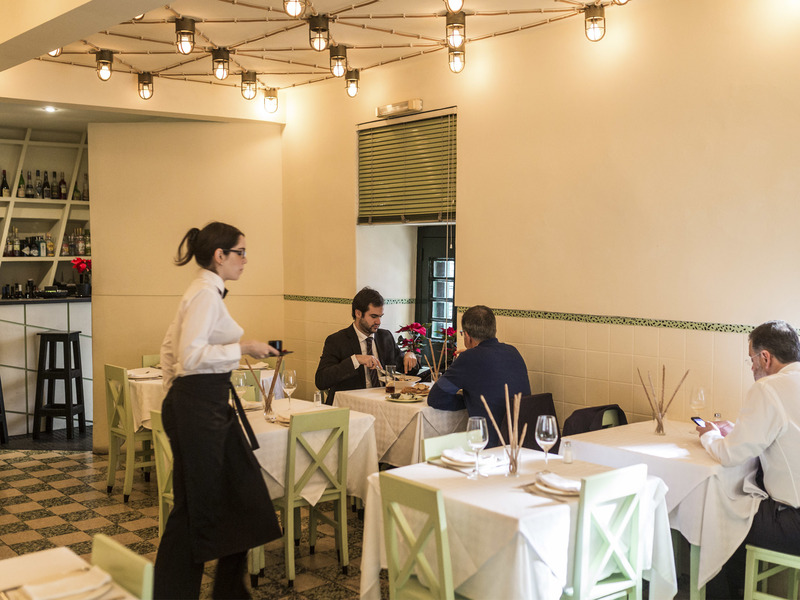 But this one, opened in 2016, is absolutely unique in the city: every menu item is based on a book by Pellegrino Artusi, The Science of Cooking and the Art of Fine Dining, published in 1891. This veritable bible includes dishes such as veal tongue with spicy sauce, pasta with teal or hazelnut pudding. It's a small and friendly place – let's call it romantic – and, besides eating, you can also peruse the tome itself (in Italian). It is worth it. – Everything is prepared according to the book: from the appetizers to the cookies that come with the coffee. – Part of the produce are biological, and part come from Italy. – Stepping into this restaurant is like travelling backwards in time, and not just because of the book. Lucca, La Finestra, Tavola Calda. Three brothers from the same family, with some different parents and some in common (we won't bother you with genealogy). What you need to know is that they have excellent thin-crust pizza, with scores of ingredient combinations and a strong price/quality ratio. They also allow patrons to make that one special pizza request: “Half of this and half of that.” A colourful and relaxed mood also make this a good place to bring your children. – In summertime it has a nice outdoors area in a tree-lined street. – Try their (not so) secret dessert: Nutella pannacotta. – You may ask the pizzaiolo to give kids small bits of dough (if they behave). 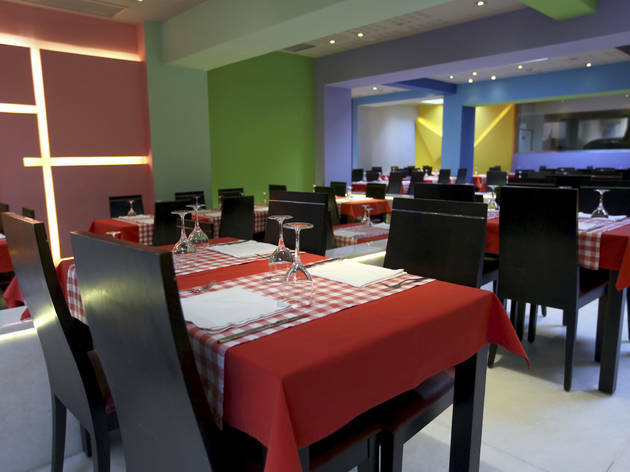 A pizzeria in the Alvalade shopping mall. 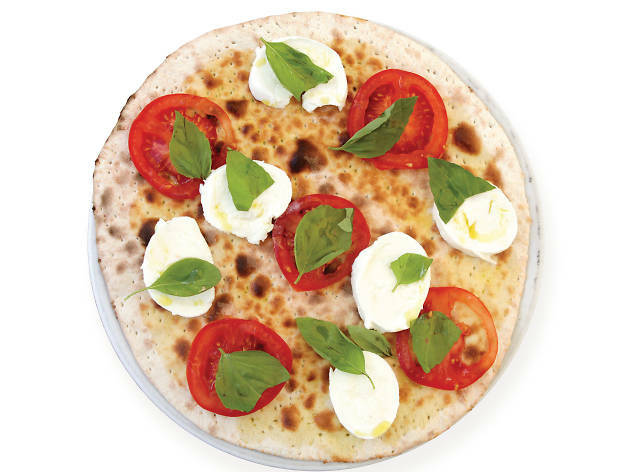 A pizzeria that brings to the table the Neapolitan tradition – fluffier dough, thick on the edges, damp in the middle. 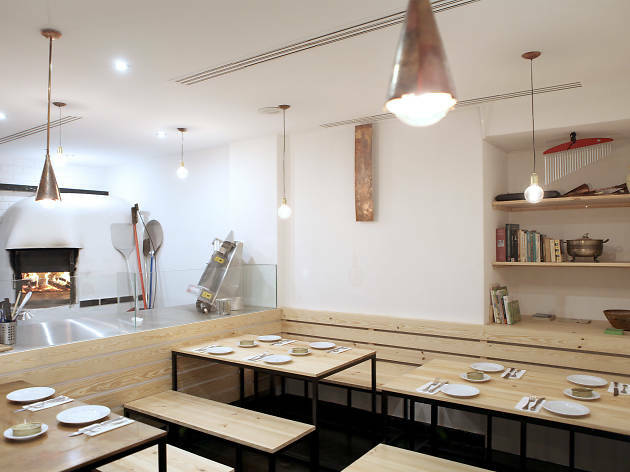 A pizzeria with a super-deluxe oven of the Stefano Ferrara brand, custom-made in Napoli with a volcanic rock pedestal, where pizzas are cooked between 60 and 90 seconds. A pizzeria where, beyond classic margherita, marinara or quatro formaggi pies, Genovese chef Giorgio Damasio cooks quality Italian dishes. 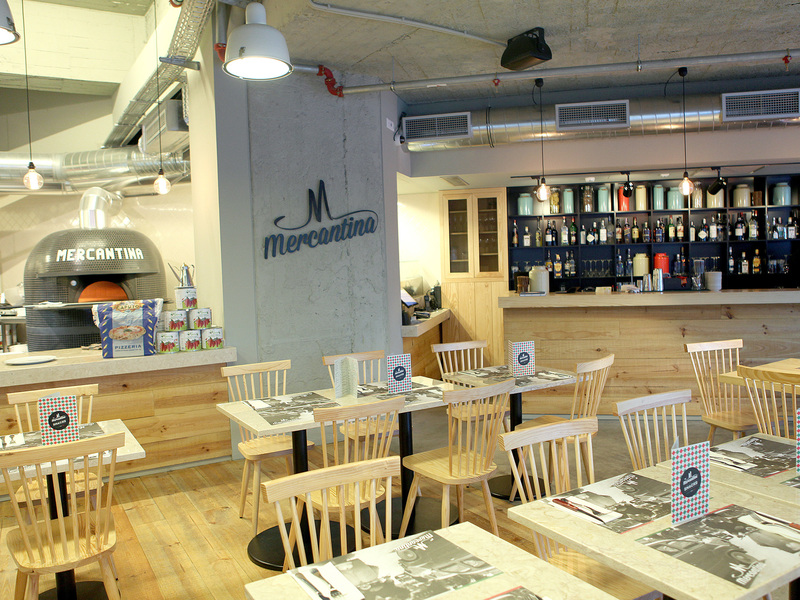 Mercantina is all that – and it's all good. – Order one the three focaccia breads as an appetizer. – They serve wondrous breaded Milanese steaks. – Nutella pizza? Yes. Family size, please. Chiara Ferro got Lisboners to overcome any fear of looking childish while eating meatballs and mashed potatoes. She also brought on the new wave of restaurants practising the Italian vera cucina, where pasta is eaten without knives and portions are for sharing. 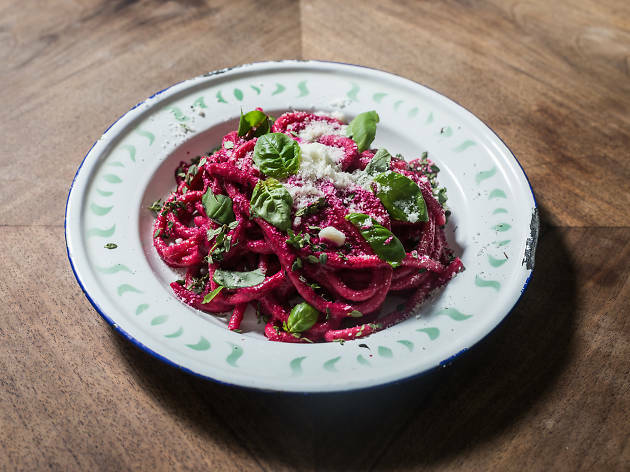 We would like to have the pasta al pesto de rapa rossa (beet pasta) or the pane carasau lasagna with tomato and courgette all to ourselves – but, if the Italian chef is at her post, she will glower at you from the kitchen. – Order the lambrusco and strawberry sangria (sounds like juice, but it's not). – Gnocchi are almost always among the day's specials.